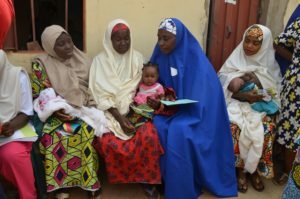 Along two rows of benches under the awning of the Chikun Primary Health Centre in northern Nigeria’s Kaduna State, about 50 young mothers sit still, their babies swaying on their laps. All eyes are fixed on Lidia, the assured polio social mobilizer who is not delivering polio vaccine, but showing the women how to correctly breastfeed. Lidia is a grandmother, a one-time community midwife now employed with Nigeria’s polio eradication programme as a UNICEF-supported Volunteer Community Mobilizer (VCM). 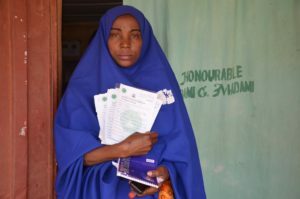 During the monthly polio vaccination campaigns, she goes house to house with the vaccination team, opening doors through her trusted relationship with the mothers, tackling refusals where they occur and tracking any children missed in the campaigns through her field book containing the names and ages of all children in her area. But it is between campaigns where Lidia’s full worth is realized. 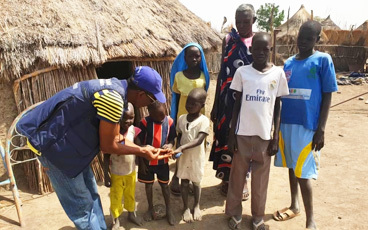 Between polio vaccination campaigns, mobilizers like Lidia track pregnant women and ensure the mothers undertake four Ante-Natal Care visits, including immunization against tetanus. 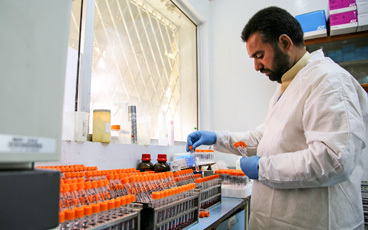 They advise mothers-to-be to give birth at the government health facility, provide them with the first dose of oral polio vaccine, facilitate birth registration and connect them to the routine immunization system. 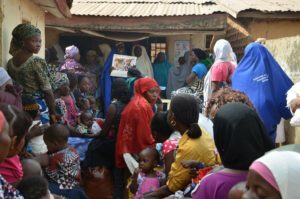 In houses and at monthly community meetings, the mobilizers also provide information on exclusive breastfeeding, hand washing, the benefits of Insecticide Treated Bed Nets, Routine Immunization and the polio vaccination campaign. Every Tuesday is birth registration day. Once, hardly a soul turned up to register their newborns, but today, a long line of VCMs are standing clutching handfuls of registration forms, waiting to register the newborns within their catchment area. Despite stifling heat, on this Tuesday, there are more than 50 mothers and several fathers sitting on benches, waiting for their turn to have their babies vaccinated. 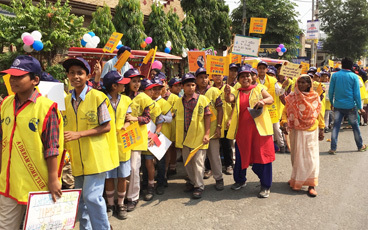 More than 80% of them carry the cardboard cards given to them by VCMs to remind them their baby is scheduled for routine immunization. 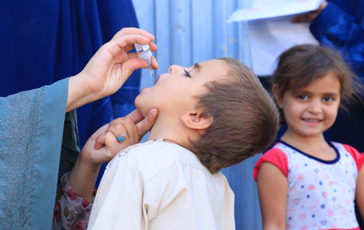 Jamila, a young mother wrapped in a white shawl around her orange head-dress, is bringing her six-month-old baby Arjera to be vaccinated for the first time. Her VCM, Rashida Murtala, badgered her for months before Jamila finally accepted. Following the routine immunization session, the VCMs fan out to attend the naming ceremonies of newborns in their catchment area. Naming ceremonies provide an important opportunity to vaccinate lots of children, as family gathers around to celebrate. On average, they attend 10 naming ceremonies a month. Today we visit Naima, the young mother of a 7-day-old boy, who as per tradition has just been named Jibrin by his grandfather. 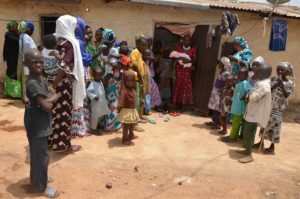 Naima is surrounded by her sisters, family and village friends, who cook and eat with them, and their 68 children under five. 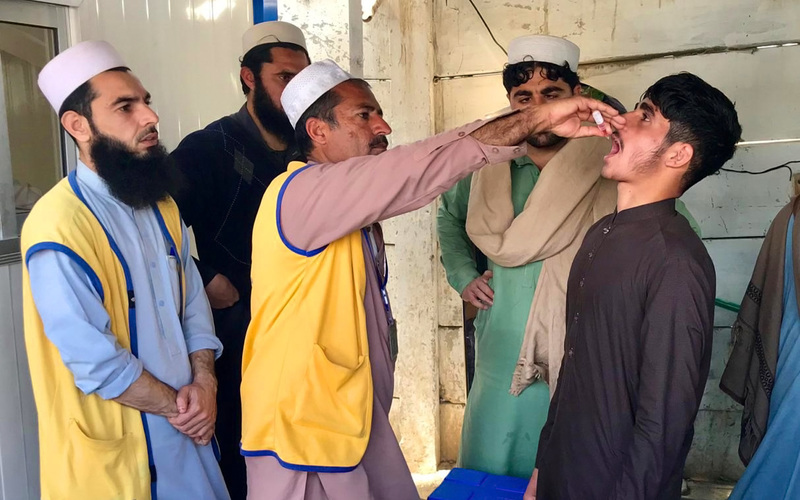 Within minutes, the VCM has walked among them all, vaccinating them as they sit waiting with their mouths open to the sky like little birds.